Lancaster Commercial Cleaning offers services for your whole Office Building. From ceilings to floors, and around every corner, we have got you covered. 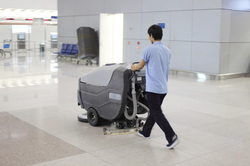 Our Professional Cleaning Staff is trained in proper cleaning techniques using advanced equipment to get the job done properly and efficiently. Weekly Office Cleaning - Your Office Building / Rooms will be detailed weekly to your specifications with the very best in Cleaning Quality Products and Service. Weekly Carpet Maintenance - To maintain beautiful carpet and rugs in high traffic areas, we offer weekly maintenance keeping the carpets as fresh as the day they were laid. Residential & Commercial Carpet Steam Cleaning - One time Steam Cleaning with Lancaster can remove decades of packed in dirt and allergens, making your carpets look and feel brand new. Window Cleaning - Clean and smudge-free windows are important to Restaurants and Retail Stores because a dirty window can shift a customers decision of entry. Medical Office Cleaning Services - Medical offices have strict rules and regulations on cleanliness and proper disposal. A proper cleaning company can manage both front and back offices. Restaurant Cleaning Services - High trafficked areas such as Lancaster Restaurants that find food and dirt matted into the flooring, can be properly cleaned and maintained daily or weekly. Free Estimates - The best things in life are free, and the Competitive Prices we offer with our Free Estimate will surely turn heads. All our Estimates come with a No Obligation Guarantee. Floor Buffing - Showing attention to detail with a shiny, and well maintained floor can set a great first impression for any potential client or customer. Floor Stripping & Waxing - Get rid of that dull reflection and ugly wax build up and let us put on a beautiful new coat reflecting the Quality your Business is. Weekly Floor Maintenance - High traffic areas wear out and dirty up quicker than most others. With weekly floor maintenance we can keep all your floors looking in Superior Shape. Power Washing - Pressure Washing can make a Kitchen or Bathroom look as good as new as well as remove set in stains and mold and mildew.